After a seem-to-be forever all-day sickness, my appetite went back to normal and I can finally eat! So we have my belated birthday gathering with the guys. 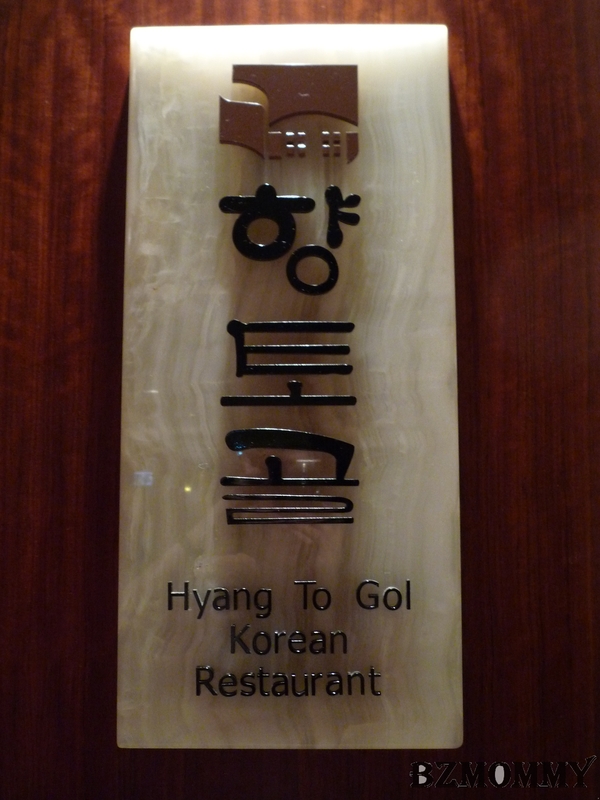 This time, we went to Hyang To Gol Korean Restaurant at Amara Hotel. 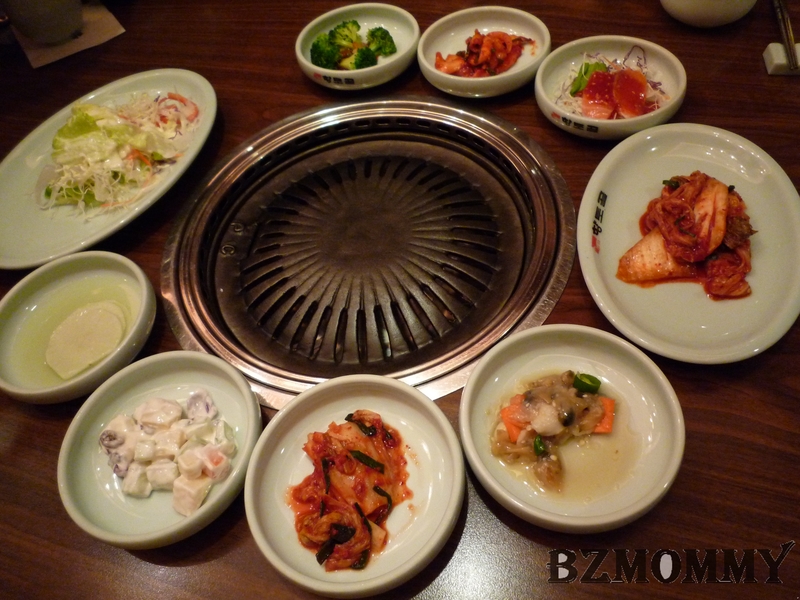 We were served with the side dishes after we had placed our orders. 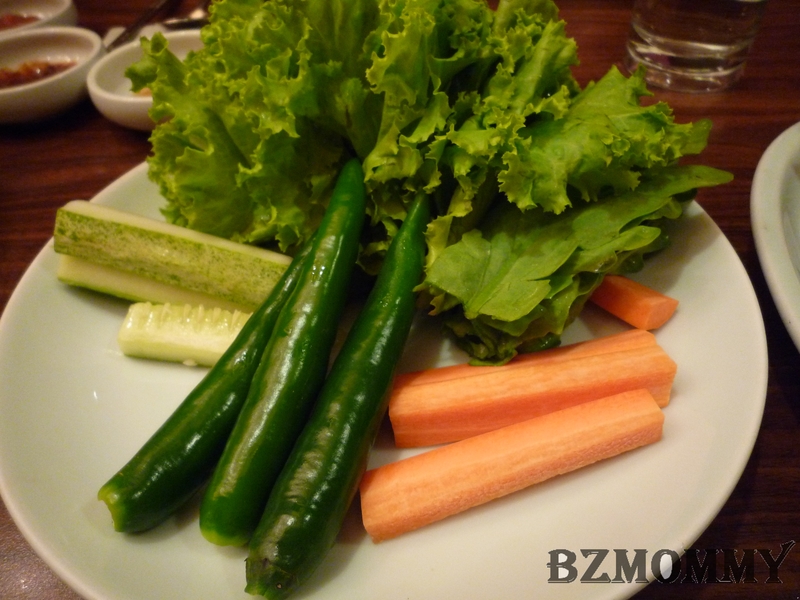 Didn’t quite enjoy the side dishes as compared to Jang Shou. How can we miss the meat? 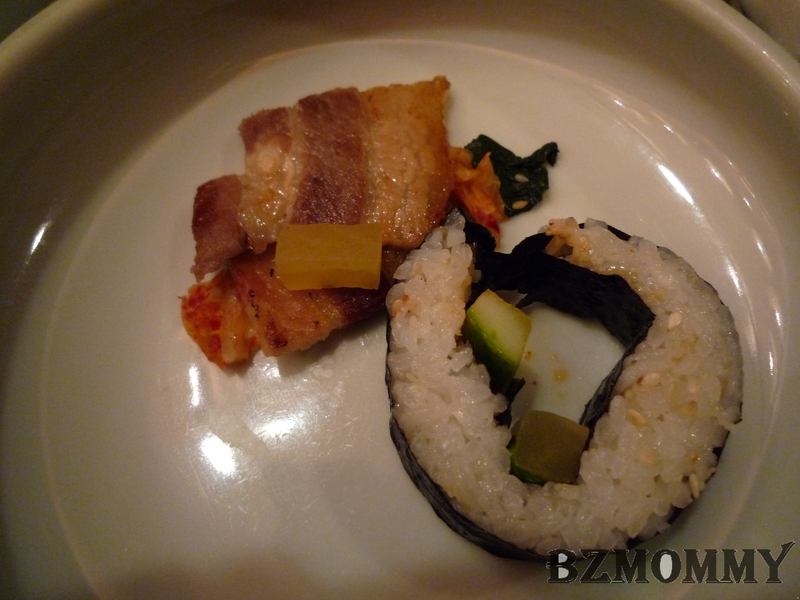 However, the pork belly was a disappointment. A little too hard to my standard. 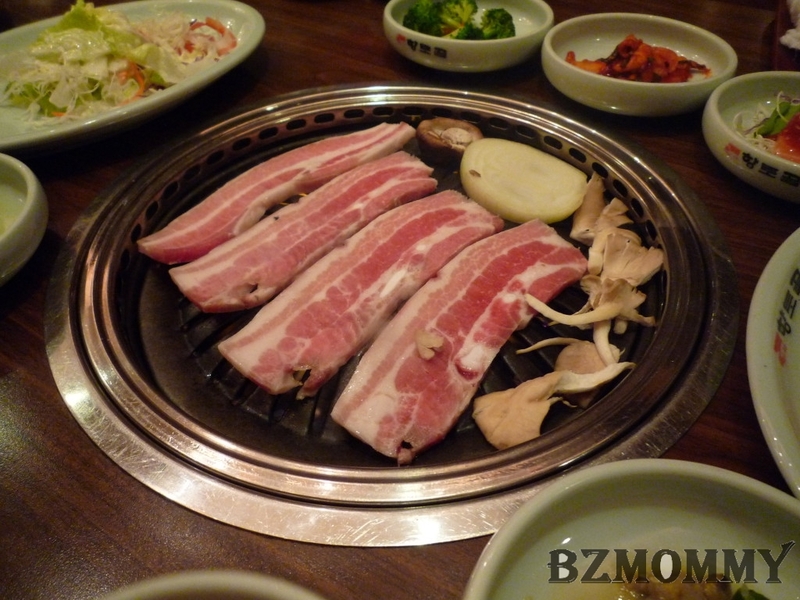 But the seasoned pork is super nice! 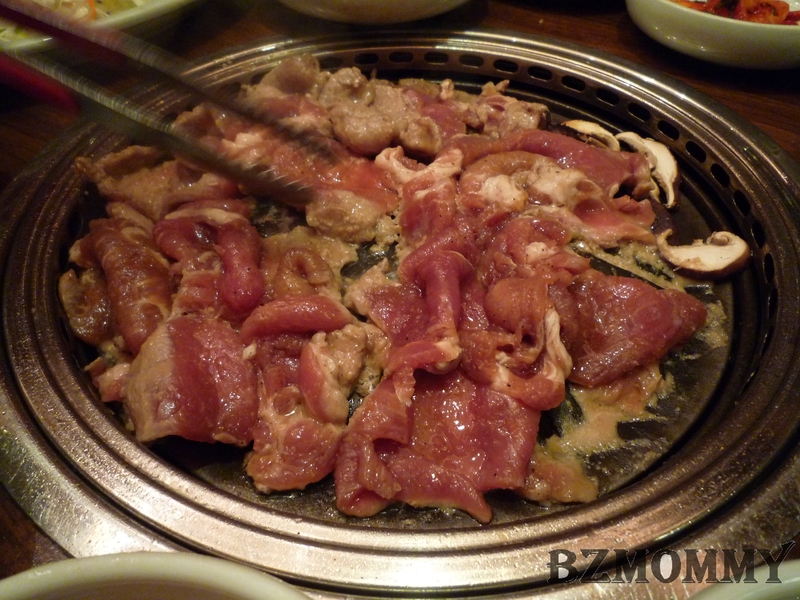 So if you are going to order the meat, this is a must try! 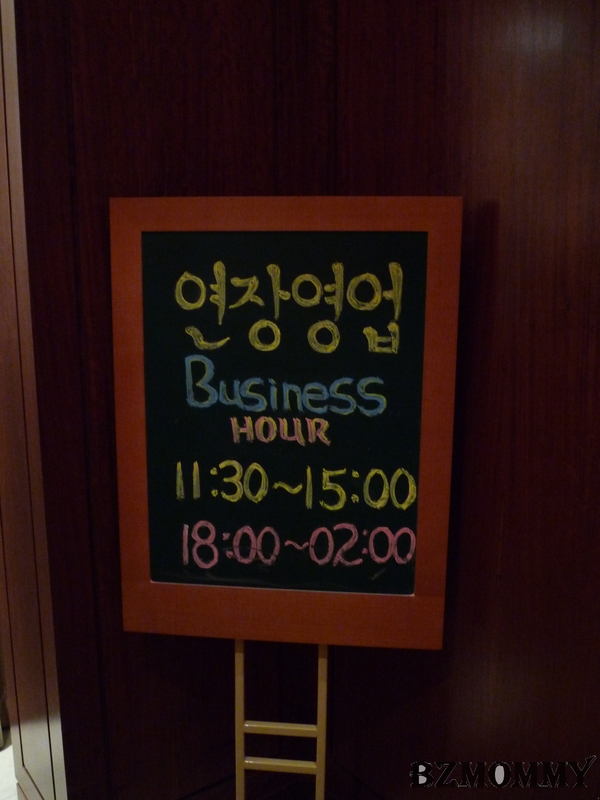 And how can we miss out the kimchii soup? 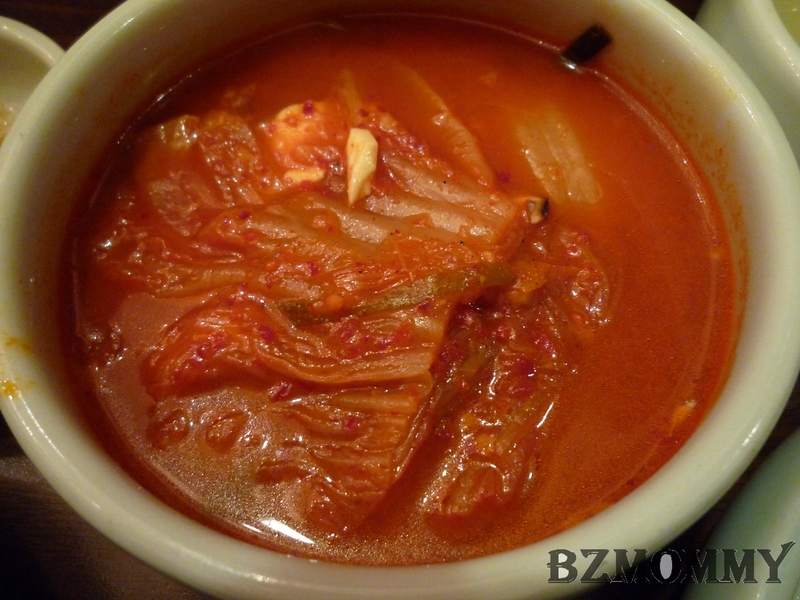 It was not that spicy, maybe because of my changed taste buds after being pregnant. I wished it was hotter! 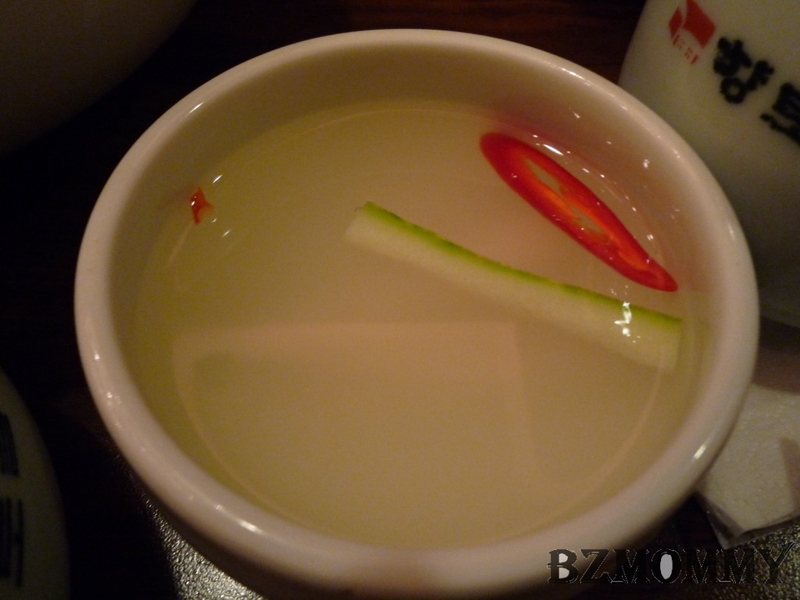 This is my serving of the Kimchii soup. 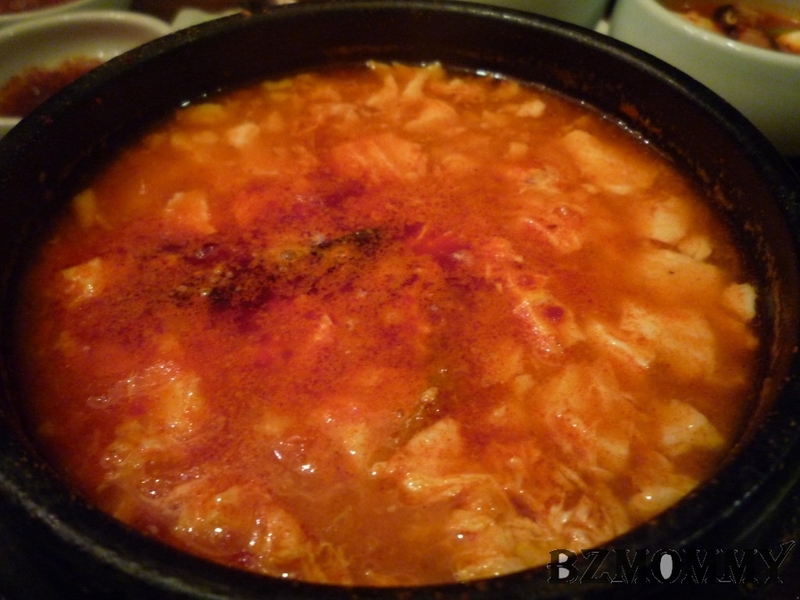 We also ordered the spicy tofu soup which was recommended by alot of reviews. Yes, it’s nice! 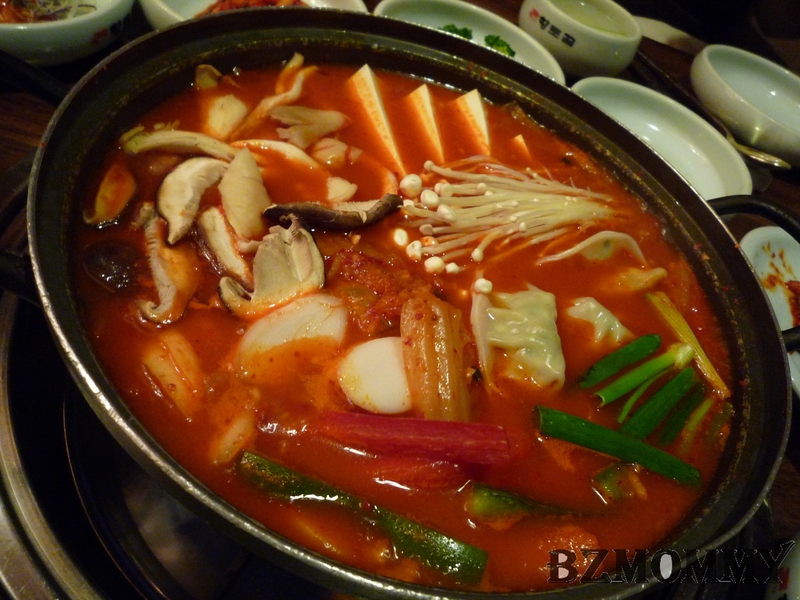 I should say that it’s nicer than the kimchii soup. But of cos, it can be hotter! 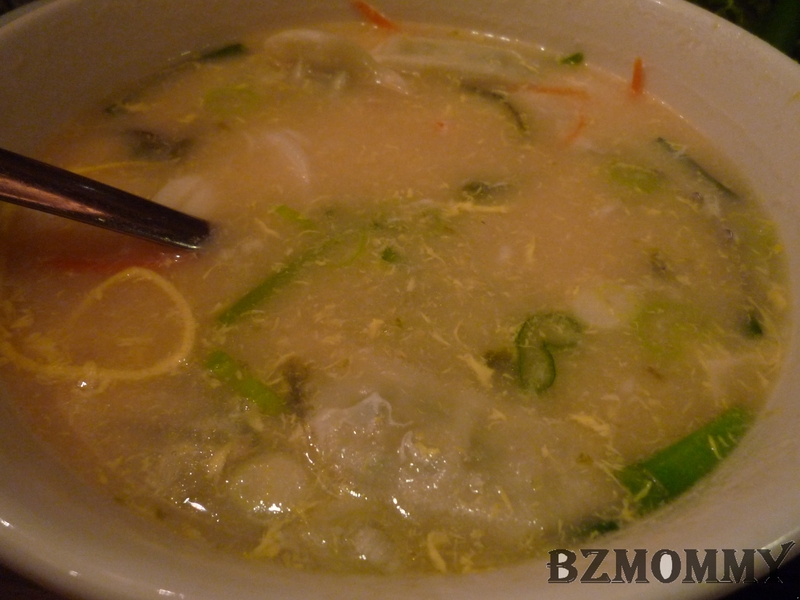 I also ordered the rice cake soup for Dawn. Quite tasty and nice! 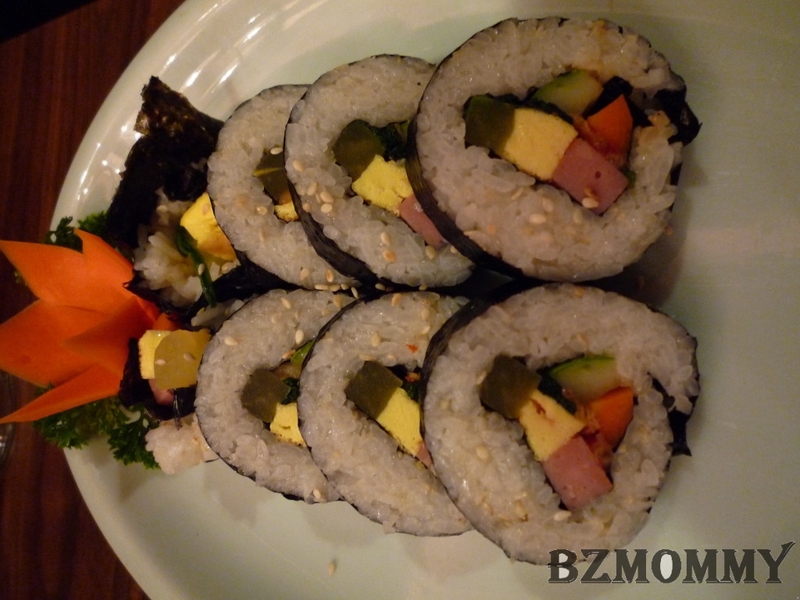 And the korean sushi, can’t remember the korean name..
And after we finished our food, the waitress gave us a free drink. It’s very refreshing and sweet!